Since Ashwin got Buttler out in a controversial 'Mankad' incident at Jaipur, this has been much talked about. 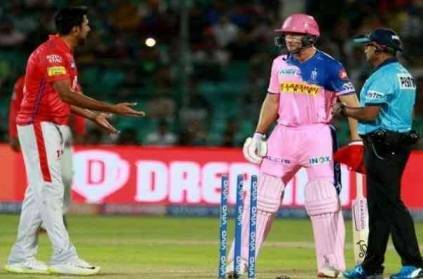 Today with the return match at Mohali between Kings XI Punjab and Rajasthan Royals, everyone started talking about that issue again as a build up to this match. The name Mankad comes from for cricketer Vinoo Mankad who first ran out Bill Brown in this fashion. Since then, his name has been attached to this type of run out where the bowlers get a nonstriker out if he is out of the crease before the ball is bowled. However, now it is seen as an act against the spirit of the game and hence is looked down upon. Harsha Bhogle, Indian commentator has recently tweeted saying that it is not correct to use the term 'Mankad' as it is offensive to the family. This page contains news relating to various facts and events. The views are generally about current affiars and general topics in diversified areas such as political, international, national, and regional issues, sports, health, travel, lifestyle, technology and business. People having similar interets on the above topics will find this page useful. Harsha Bhogle's tweet about calling it run out and not Mankad | Sports News.